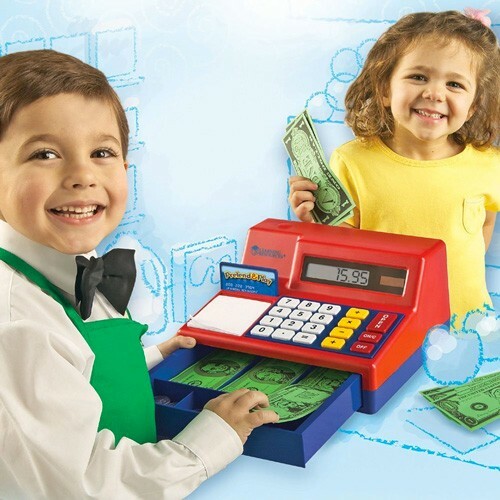 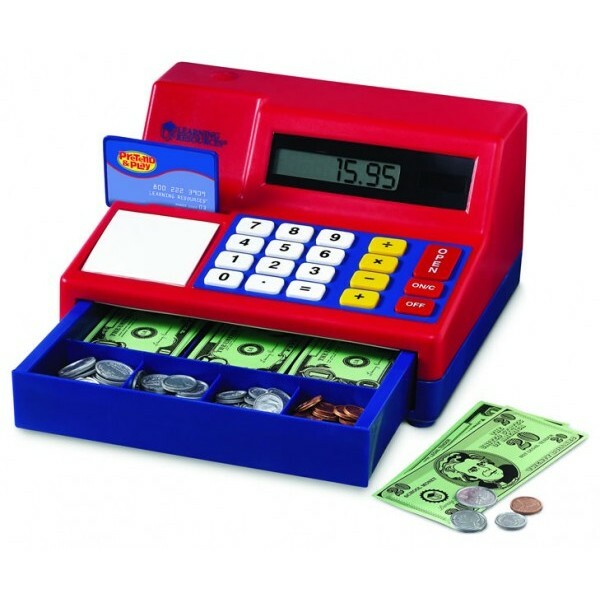 Kids learn basic arithmetic skills during dramatic play with Pretend and Play's calculator cash register! 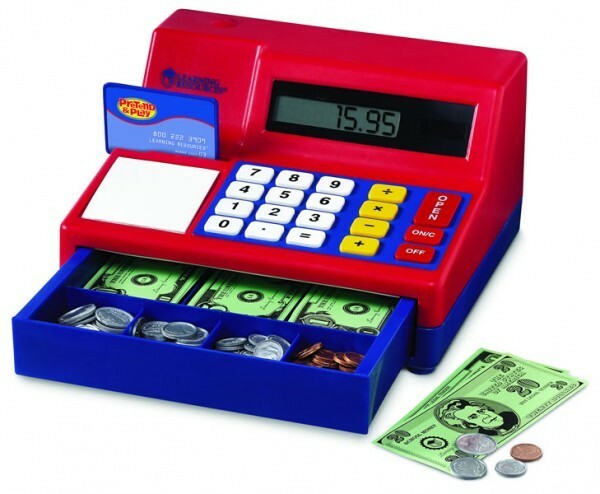 This solar-powered calculator register holds life-size bills and features oversized buttons and large number display. 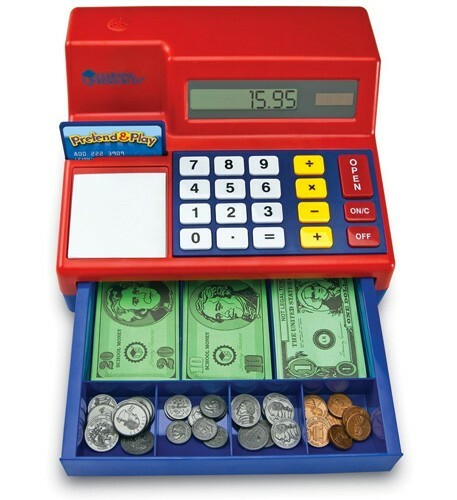 The set includes play money, plastic coins, play credit card, and activities.